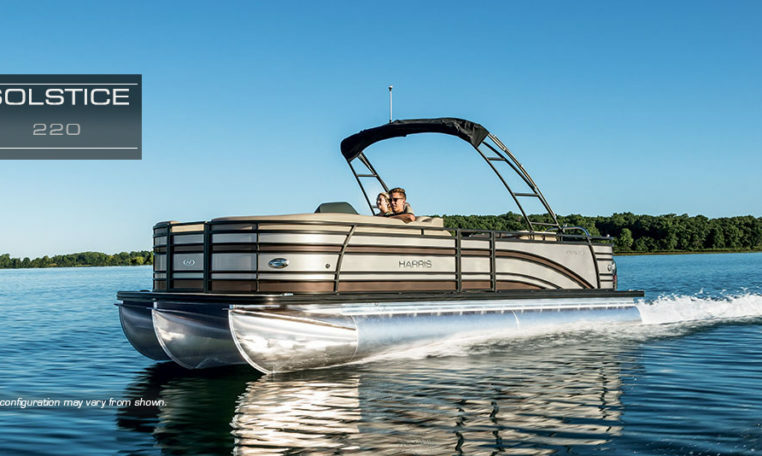 Making memories has never been so easy — or so flexible. 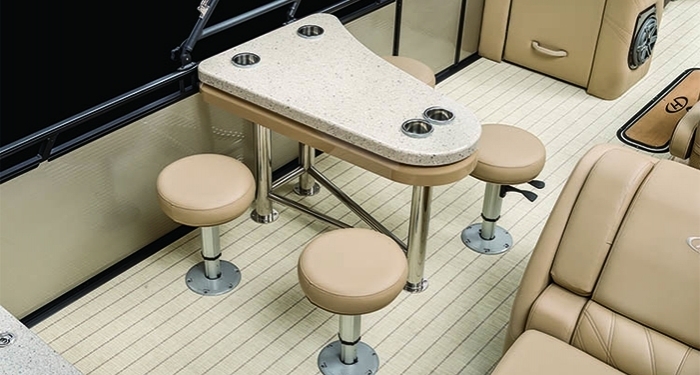 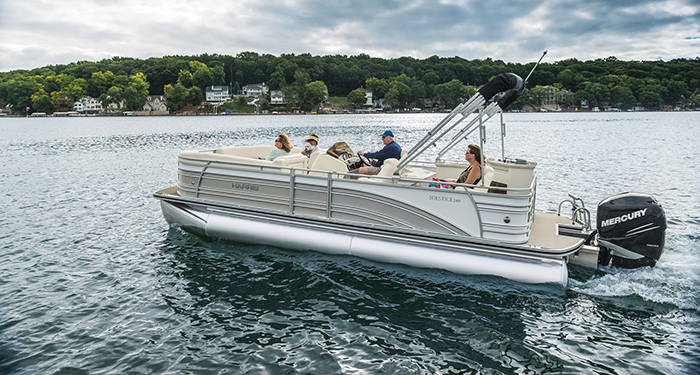 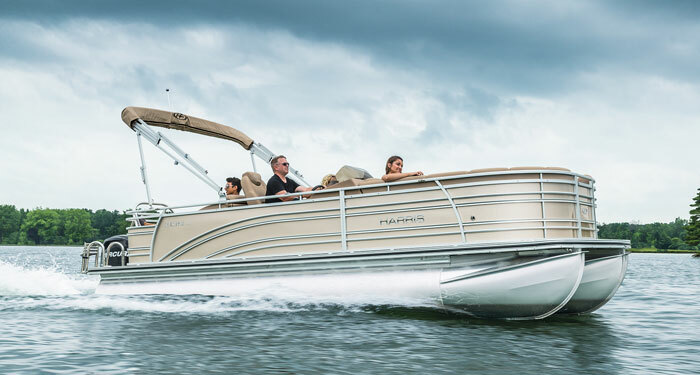 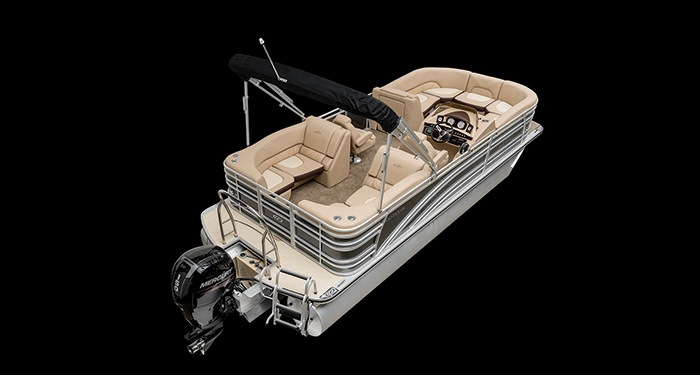 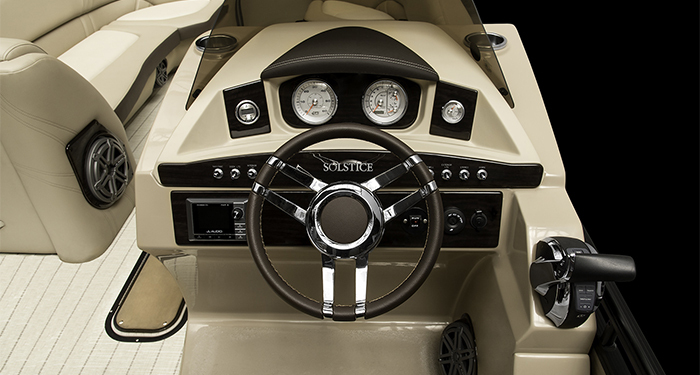 With the Solstice 220 pontoon, you can choose from elegant, versatile floor plans, an impressive array of thoughtful amenities and appointments, and dramatic power options from up to 250hp. 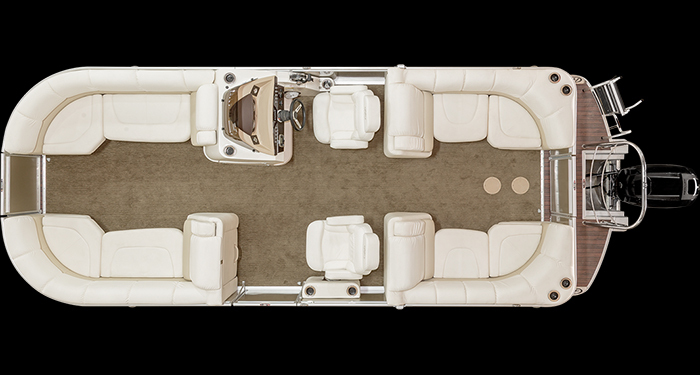 The Cruise floorplan features a bow walk-through gate, aft swim-deck access to starboard, two lavish bow lounges and an L-shaped aft lounge. 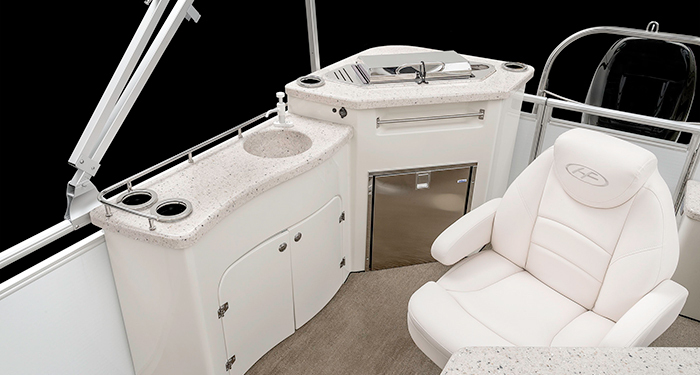 The CW floor plan offers a centre walk-through providing access to the bow and stern decks, and you can transform the bow and stern seating into spacious U-shaped lounges with the optional jump seat. 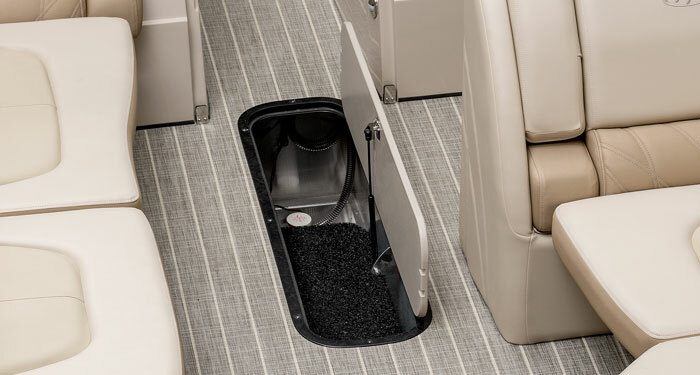 With the DL floor plan, dual rear-facing lounges replace the stern seating areas; the SL floor plan provides a single rear-facing lounge with massive under seat storage, and the EGDH floor plan incorporates a well-equipped entertainment galley for preparing alfresco hors-d’oeuvres and even full meals with optional stainless steel grill. 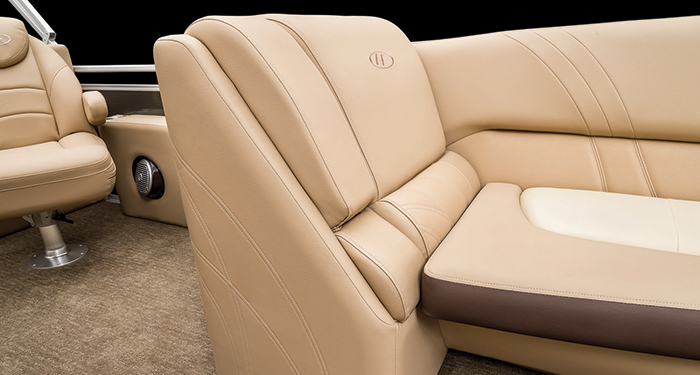 All seating boasts soft, thick foam cushioning and deluxe vinyl for a smooth, relaxing ride. 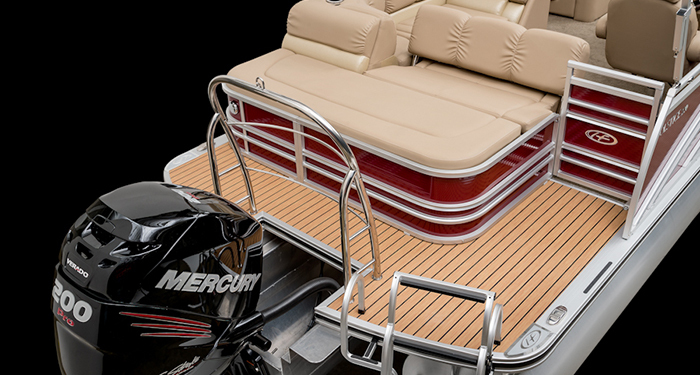 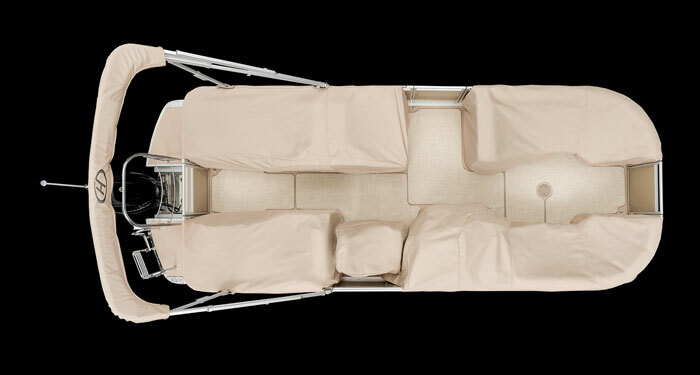 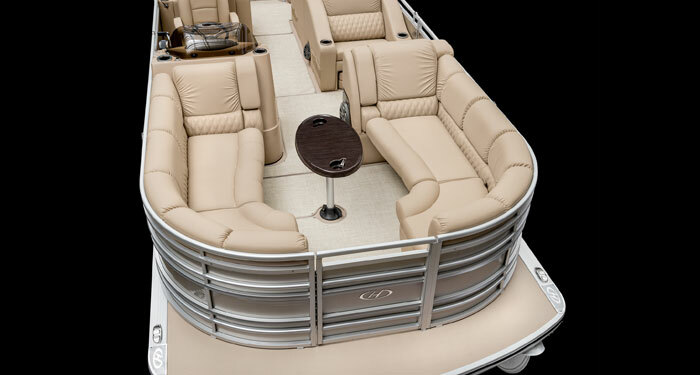 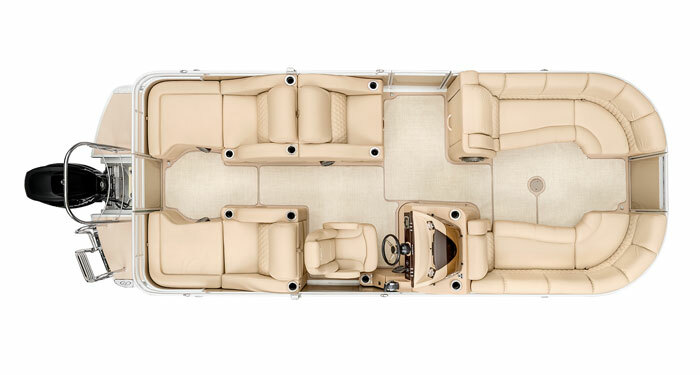 Not only is this luxury pontoon fully customizable, it defines the fine art of cruising.